We could drive nails hard into a fence, like we would lash out at people. With nails, if we do pull them out, we can see the scars on the fence that one could patch up, but we know they exist. With people though, even if we do get what we need through our anger, are we aware of the scars that anger leaves? Culturally, we have very different responses to anger. On one hand, we celebrate the righteous anger, the creative anger as Mother Kali or the Lord Nataraja, and on the other hand, like with the Buddha, we celebrate equipoise and the calm, meditative state. Anger is a powerful emotion. Using anger responsibly and constructively is a hard call. The saber-rattling shows of anger & aggression are seen with every species. When we perceive a threat, anger and aggression help us mobilize our physical, mental and social resources to help us fight, overcome and survive. On the other hand, cooperation and empathy are also emotional responses that have evolved to help us in such threats. The challenge is what we perceive as threat, and how we choose anger. Anger often is a slow-burning fire, with roots in many other feelings such as frustration, or hurt, or guilt. Difficulty in expressing those feelings could be coming out as anger, while really what is going on is a really different experience. Anger need not be loud and brash either. It could be a quiet, intense and private feeling as well, and where anger is turned inward, it could present itself as a state of depression too, which could be as bad and destructive as an episode of a violent tantrum could be for one's environment and those present. Recognizing what's going on and being able to get it touch with what one truly is feeling is an important part of getting back to one's full emotional health. Truly mastering anger could be a life-long process, of course, unless one is the Buddha, maybe. Anger can be a useful emotion, if we listen to it. Our anger could be the quickest way for us to recognize we want something different, that we need some change, and if we can tune into that desire, and take a moment to think about it, we might be able to deal with it differently and more productively. The difference between feeling angry and being angry is sometimes that moment of recognition, and it can make all the difference. We can feel the anger, express it in a really effective manner, get what we need, without losing it. 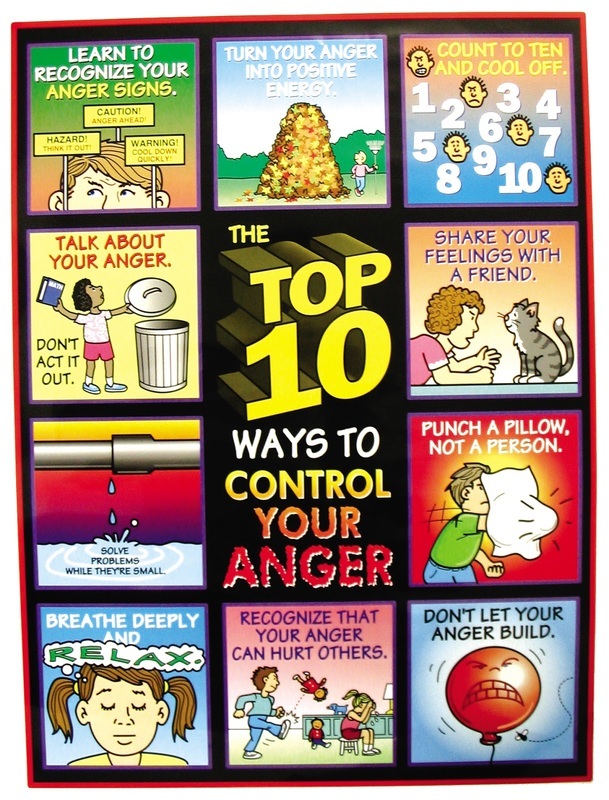 While working on mastering our anger, we could all use some quick tips to be able to control the more aggressive and unwanted ways we might express anger, and limit damage we might do to ourselves and others. The key message is to try and share concerns long before the build-up, and where it just happens, to recognize anger cues, take a moment's break, breathe, relax and get back in control. When the anger subsides, speak about the effect the angry behaviour has on you, ask how you are part of the problem, and work to solve the problem, if needed.